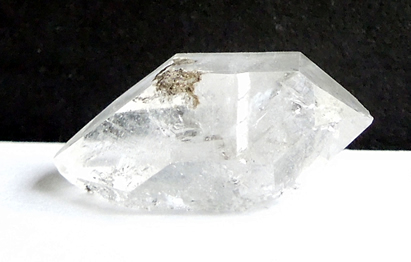 A natural tabby quartz crystal for sale. 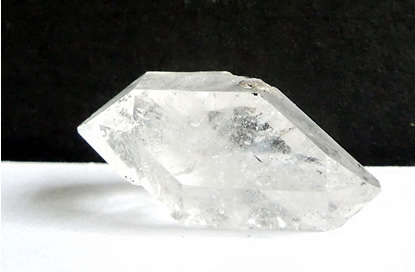 A tabby crystal is recognized by 2 large flat facets on the front and back, making the depth less than half of the length. 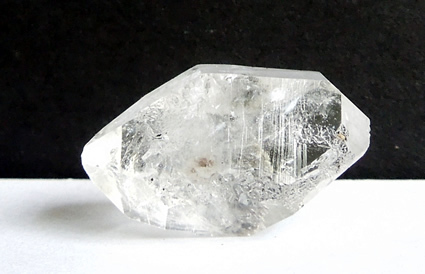 Etchings, or striations on the face are usually present. Metaphysically inclined persons will be interested to know that the tabby is carried to enhance communication, creativity, smooth energy flow and integration of ideas and balance. 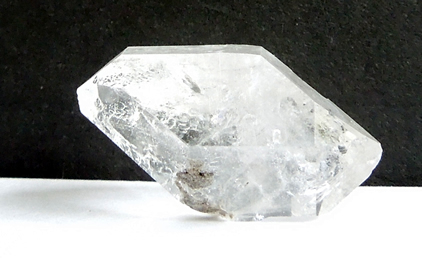 This Herkimer is double terminated with fair clarity. 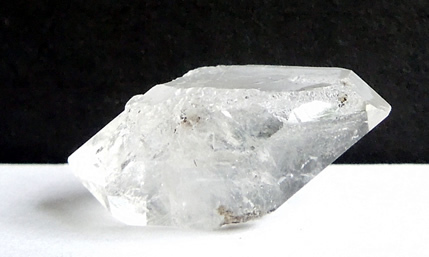 Some matrix marks are present and seen in the images. 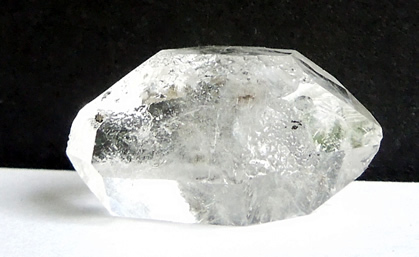 The images represent this natural quartz tabby crystal well.